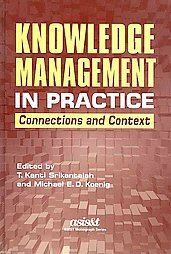 While writing a review for Aslib Proceedings of a new text on knowledge management, Kevin C. Desouza and Scott Paquette’s Knowledge Management: an introduction, I commented that there was a bit of a contradiction in the way that the book addresses Tom Wilson’s criticism – in his 2002 paper, The nonsense of knowledge management – of the discipline as a “fad’ that would fade away. At one point, Desouza and Paquette say that “after the fad of knowledge management receded in the early 2000s, the field went through a period of deep introspection, evaluation and renewal”; two pages later, they say that that “since we are still talking about knowledge management … the fad has not faded”. I pointed out that it was fairly clear from the context that what they mean is that the hype has gone away, but the substance is still there. Wilson’s criticism, in essence, was that what passed for knowledge management was not, in fact, about managing knowledge; it was about managing information, or about organising work practices so that people can co-operate effectively. And indeed, these points have been reflected to a large extent in the way the subject is described now. It is often subsumed under ‘business intelligence’ or ‘communities of practice’, perhaps more realistic descriptions of its essence. And, insofar as it is still a area of concern to both researchers and practitioners in the information sciences, it is increasing being seen as a point on the spectrum of the management of information of all kinds, rather than as something separate. In being assimilated in this way, knowledge management follows the pattern of other disciplines and activities on the overall information science/management spectrum. It takes something of an effort to recall that searching for digital information, now a common activity for most people in the developed world was, not so long ago, a specialised job. Making slides for a presentation, which again was a special skill and function, is now routinely done by school pupils. Creating metadata, once the province of the cat-and-class community, is now open to anyone who tags their photographs and books. Interestingly, while many jobs and skills in other sectors have simply disappeared, most information functions seem to continue. True, one would be hard-pressed to find a hot-metal typesetter outside a heritage setting, but most other information activities tend to continue, but without their special status. As with knowledge management, they simply cease to be fads. These reflections should not, by the way, be taken as a criticism of Desouza and Paquette’s book. On the contrary, it is one of the better examples of its kind. 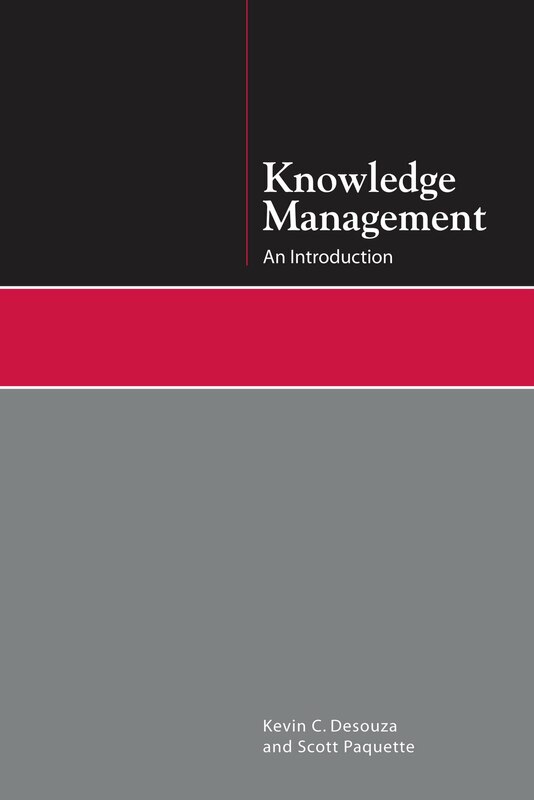 Its structure is particularly logical and well thought out, with an introductory chapter introducing knowledge management leads to two expositions on ‘the concept of knowledge’ and ‘the concept of management’. It has more of a ‘library/information flavour’ than most other knowledge management texts. Several leading library/information writers in this area are mentioned, and a good philosophical historical perspective is provided. I felt obliged to comment the authors were trying a bit too hard in their identification of Sir Francis Bacon (1521-1626) as a ‘leading LIS figure’. One should not however be too critical of any author who goes out of their way to remind their readers that the elements of knowledge management did not begin with the digital computer. The book can be recommended, alongside the volume edited by Kanti Srikantaiah and Michael Koenig, Knowledge management in practice: connections and context, to any student of library/information science or of information management. Indeed for any interested person with a library/information perspective, it would be a good introduction to a subject which retains its importance, though it may no longer be a fad. Next Post Alas for the paperless office. Weep for the fragile archive.